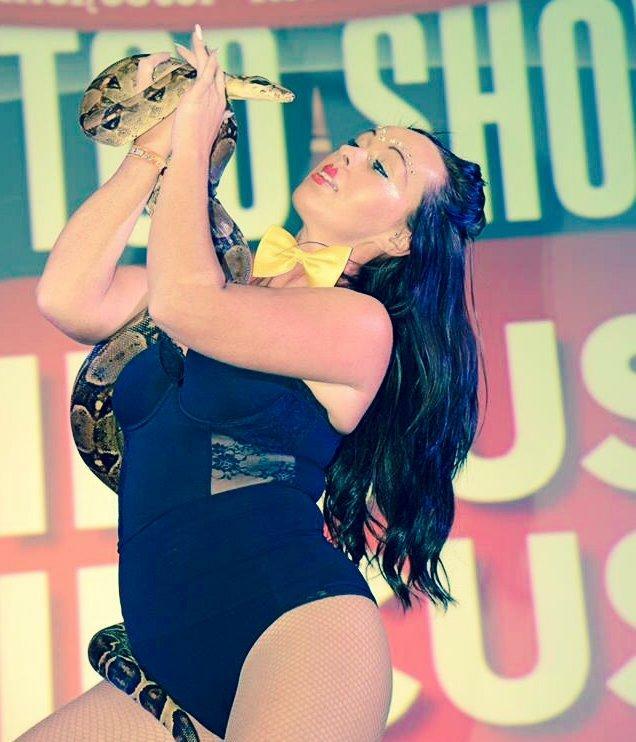 Our snake performers are available as mix and mingle acts, posing for photographs with guests, as well as having interactive sessions, where guests can stroke or hold the snakes. 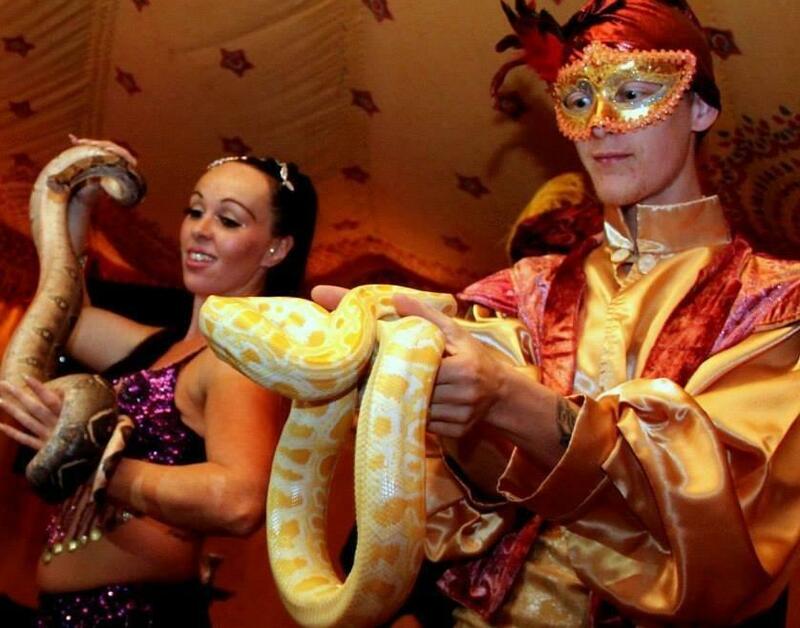 For the ultimate in exotic snake entertainment, the Snake Performers and respective snakes can then perform a snake dance. 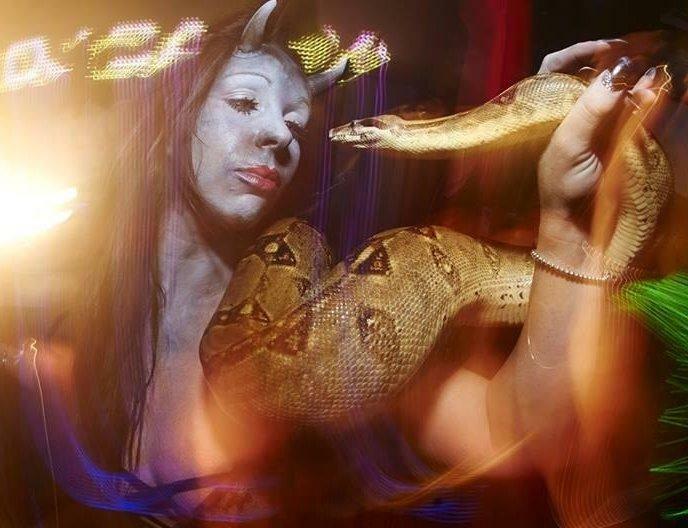 A snake dancing routine can be performed as a solo performance or a duet. 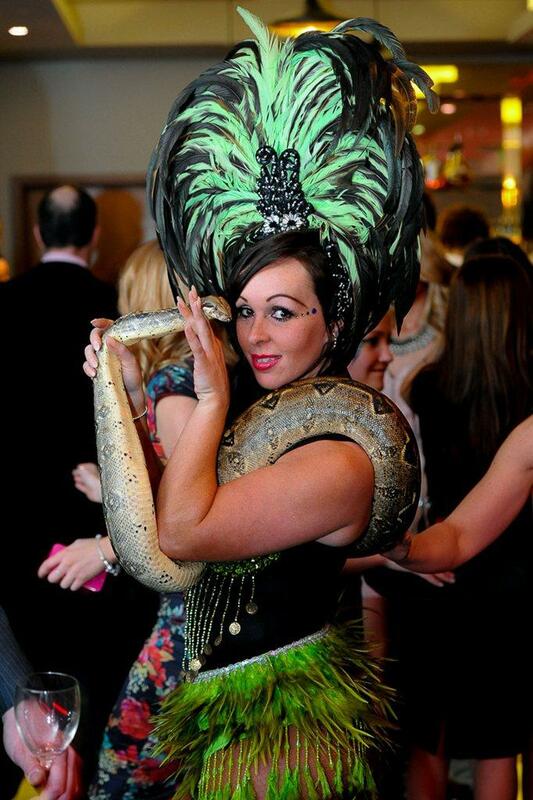 The Snake Performers provide excellent ‘walkabout’ entertainment and offer a variety of lavish costumes to fit most themes. More themed costumes can be arranged on request. 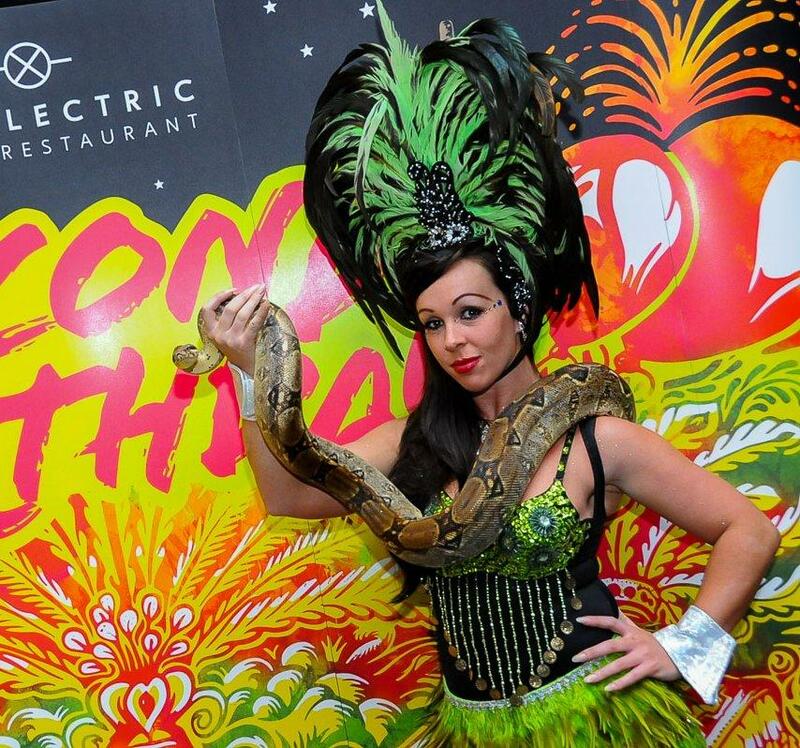 It is very important that the Snake Performer has a changing room that has an electric socket. 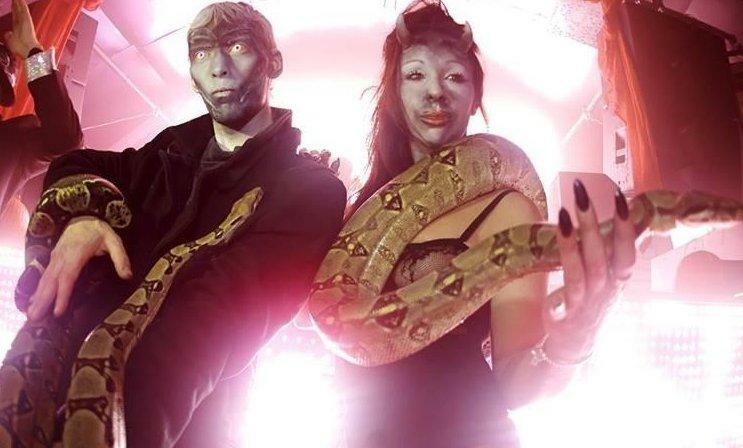 The snake will need to have a heater, which the performer will bring and this needs to be able to be plugged into the changing room while the performer gets ready. 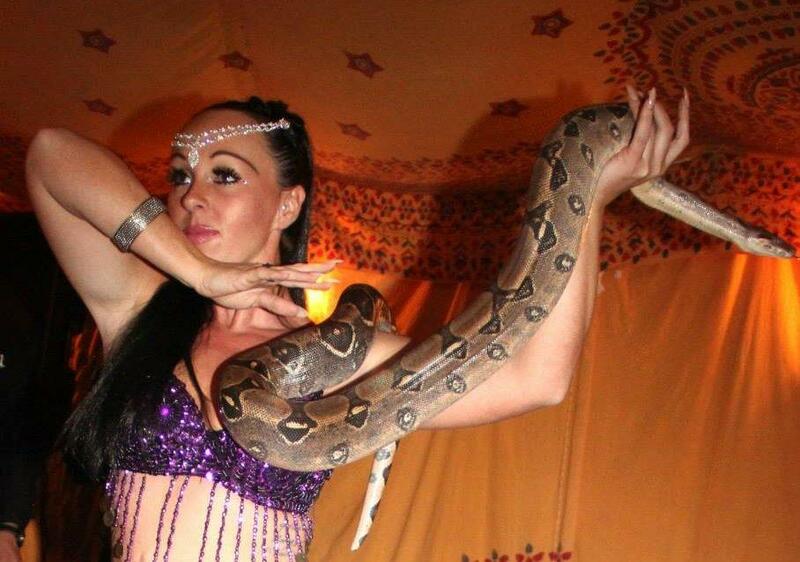 …Their staff are very professional and provided a fantastic performance. Our client was very happy!